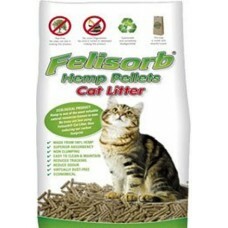 Felisorb Hemp Pellet Cat Litter 10kg Felisorb® Cat Litter is made 100% from the hemp plant. The hemp plants are grown without the use of insecticides or pesticides. No chemical additives, binding materials or flavorings were used in the manufacturing process. The natural materials are granulated using a purely mechanical process and it regularly controlled for impurities and pollutants. As a result Felisorb® is both cleaner to use and lasts longer.Felisorb® Cat Litter is an extremely env..
Fussy Cat Attapulgite Cat Litter 15L - 10kg 100% natural • No chemicals added during processing • Superior liquid absorption • Effective in odour control • Inert and safe around household • Non-clumping and light-weight • Long-lasting and cost-effective ..
Fussy Cat Attapulgite Cat Litter 30L - 20kg 100% natural • No chemicals added during processing • Superior liquid absorption • Effective in odour control • Inert and safe around household • Non-clumping and light-weight • Long-lasting and cost-effective ..
Max's Cat Litter 12.5kgMax’s® Cat Litter has been developed using natural ingredients that are gentle, effective, easy to use and simple to dispose of. 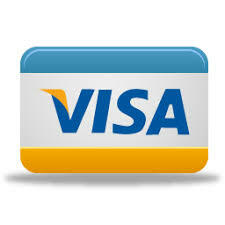 We are proud Max’s® Cat Litter is Australian Made by an Australian owned company. Benefits All Natural/Garden friendly Max’s® Cat Litter is made from natural ingredients, does not contain any harmful chemicals and is completely organic and biodegradable. It also contains useful nutrients and trace elements, making it an idea..
Oz Pet Cat Litter 10kg Oz-Pet pellets is the ultimate anti microbial litter that will stop the strong pee pong in your litter tray by eliminating rather than masking the smell of ammonia. The eucalyptus oil in the wood pellets will stop the bacteria growing that causes the smell of ammonia in other types of litter. Other key benefits are Garden Friendly - Oz-Pet litter is recycled and manufactured from waste plantation timber that would otherwise be des..
Oz Pet Cat Litter 15kg Oz-Pet pellets is the ultimate anti microbial litter that will stop the strong pee pong in your litter tray by eliminating rather than masking the smell of ammonia. The eucalyptus oil in the wood pellets will stop the bacteria growing that causes the smell of ammonia in other types of litter. Other key benefits are Garden Friendly - Oz-Pet litter is recycled and manufactured from waste plantation timber that would otherwise be des..
PooWee Recycled Paper Cat Litter 30LInk FreeMoisture & Odour LockMinimises Tracking.. It is the unique milling process of the wheat grain that eliminates the urine odour, organically! WonderWheat Cat Litter works naturally, without the use of chemicals, additives or cover up perfumes. Unlike clumping clay, which containsSodium Bentonite, (an inorganic clumping agent) which can contribute to respiratory disease and other health problems. WonderWheat Cat Litter is so safe, the granules can be eaten without any harm to your pet. WonderWheat ..
Wonderwheat Cat Litter 2kg It is the unique milling process of the wheat grain that eliminates the urine odour, organically! WonderWheat Cat Litter works naturally, without the use of chemicals, additives or cover up perfumes. Unlike clumping clay, which containsSodium Bentonite, (an inorganic clumping agent) which can contribute to respiratory disease and other health problems. WonderWheat Cat Litter is so safe, the granules can be eaten with..